La Publication sur le reste de supernova G349.7+0.2 a été acceptée par le journal A&A. Cette publication est le fruit du travail de C. Trichard et A. Fiasson. 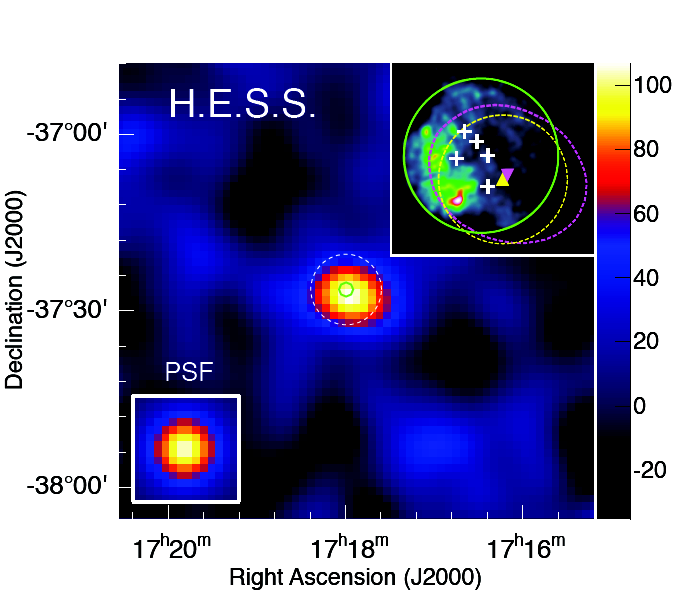 G349.7+0.2 is a young Galactic supernova remnant (SNR) located at the distance of 11.5 kpc and observed across the entire electromagnetic spectrum from radio to high energy (HE ; 0.1 GeV < E < 100 GeV) gamma-rays. Radio and infrared observations indicate that the remnant is interacting with a molecular cloud. 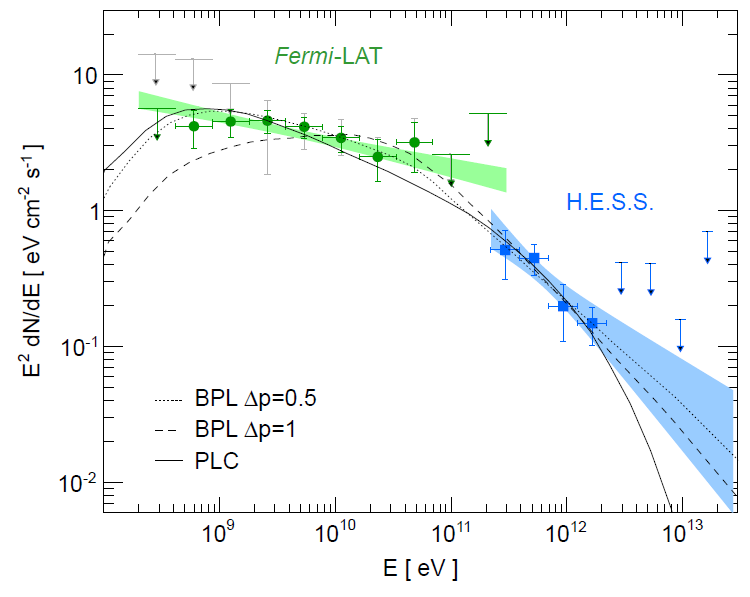 In this paper, the detection of very high energy (VHE, E > 100 GeV) gamma-ray emission coincident with this SNR with the High Energy Stereoscopic System (H.E.S.S.) is reported. This makes it one of the farthest Galactic SNR ever detected in this domain. The paper can be found on the preprint server : arXiv:1412.2251.